In this episode: Plagued by migraine this week and feelinng summertime lazy, the intro waffles around a bit before coming to the point. After a brief whinge about being hot (which I’m allowed, because it’s summer and I’m menopausal) it all comes together with tales from the roof garden, the lazy person’s sock pattern, and an appeal for your easy summer knitting suggestions. Please do leave those in the comments. Right. So. It goes pear shaped for a little bit when I realise the edited interview and farm walk audio I had planned for this episode, somehow didn’t save correctly, and there’s no edited audio and no time to re-edit. 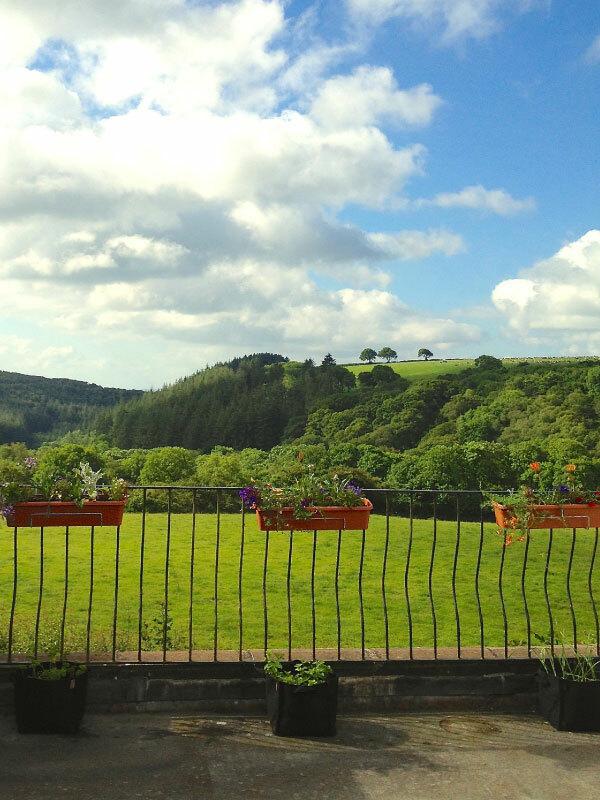 Huge thanks to Caerthan and Rick, who generously shared their time with me this week. Their audio will be in the very next podcast. Lacking audio I play a song, and then wrap things up by announcing the winner of the Welsh for Rainbow mega box of yarny goodness. There’s nothing like a knitting bag full of yarn to bring things back to earth. Congratulations to the winner, Paula! 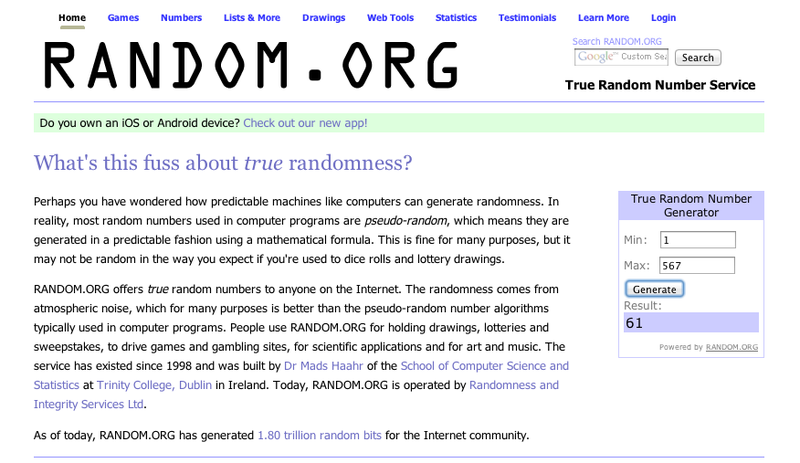 FYI, I used the Random Number Generator at www.random.org to select the winner. Click the thumbnail below to view the actual results full size. The place to be this weekend is Brighton for Unwind Brighton, happening NOW! Stop in and say hi to Caerthan at the Triskellion Yarns and Fibres booth and squoosh some of his gorgeously soft yarn in the sumptuously saturated colours he is known for (pictured above). The place to be in two weeks is Ampthill, Bedfordshire, for Fibre East, a British Natural Fibre and Craft Show. Still some places left for classes there. 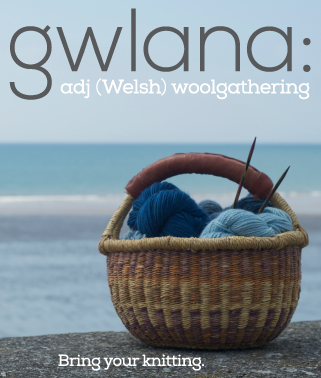 Sadly, there are no places left for the workshops I mentioned, with Deb and Sarah, at the Ceredigion WSD Guild. However, if you have a question for Deb and/or Sarah, email me, or leave your question in the comments below, or on the Cast On Facebook Page. In old business, I somehow forgot to post the title of my Audible pick for the last episode, so Ive amended the show notes, but thought I’d put it here as well because so many people have asked me about it. The series of books I raved about begins with Rivers of London in the UK. The same book was published in the US under a different title (for some unfathomable reason), Midnight Riot. All the books in the rest of the series share the same title, and cover art on both sides of the pond. The cover art for Midnight Riot is shockingly bad, but trust. It’s one of the most enjoyable series of novels I’ve read/listened to in the last five years. This week’s Audible pick is the Carnegie Medal and Guardian Award winning novel for young adults, The Owl Service, by Alan Garner. Did I make it clear that I am loving this book? It’s very engaging. Music by Derek James, Summer, from the cd Stray; Jonothan Coulton, Learn to Fly; and The Peach Stealing Monkeys, Summertime, from the cd The Missing Link of Lo Fi. Love. Love. Love the sound of your voice and what you have to say. Thank you for each and every episode! Dear Brenda, You got me spellbound by Enchanted Mesa…haven’t cast on but the whole journey of getting there is obsessing me. 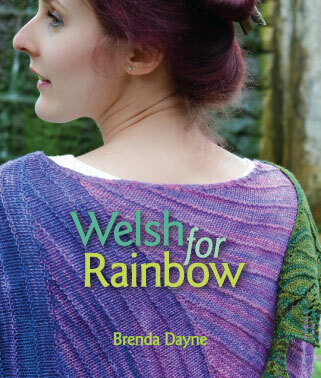 I would like to return the favour and recommend a Clapotis in linen as the perfect summer knitting project. Blogged here: http://needleandspindle.com/?p=1836 It is summer. I knit dishcloths in the summer when I can’t be bothered to do anything else but I love Rebecca’s idea of a linen Clapotis that may be my next summer project! Thanks for another great episode. My summer knitting is plain vanilla socks. And when I say ‘plain’ I’m not kidding. Cast on 48 on size 2 Signatures and just go. they never feel too hot in my hands and are so portable. I’m going to try the bed socks – thanks for the tip! My lazy go-to project for mindless knitting is what I call “driving mitts”. I started out making them for myself (first, and really only thing I have ever knit for myself) trying to put a positive spin on a long commute. I use an easy, now memorized, fingerless mitts pattern, using stock yarn and DPNs. 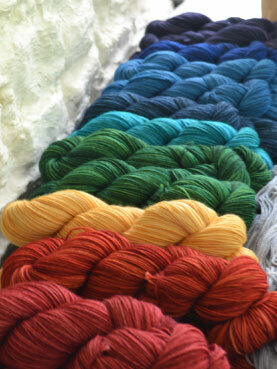 I love using multi colored yarns. I received so many comments on the first ones I made that now I always seem to have a pair on the needles. I’ve adapted the pattern to include partial fingers, closed thumbs, and a flip over mitten top. When I just want to knit, and not have to think, that’s what always ends up taking shape following casting on. First of all, THANK YOU for the book recommendation (in Episode 130) to the Ben Aaronovitch “Peter Grant” novels! Your description of “2 parts police procedural, 1 part Harry Potter, 1 part the city of London itself” was perfectly accurate, and the book does not disappoint. I downloaded the audiobook of Book 1 (“Midnight Riot”) and I’m *loving* it. I listen while I walk, and yesterday I was inspired to walk 9.16 miles just so I could keep listening! Re/ summertime knitting, I knit one thing: log cabin dishcloths. I have a bunch of dishcloth cotton in tons of different colors, and I just pick up any color I feel like, cast on as many stitches as I want (I don’t even count them), and work garter stitch until whenever. Then I bind off, pick up a new color, pick up stitches from the side of the piece (1 stitch per garter ridge), and work garter stitch until I feel like stopping. Repeat as necessary. No counting, no pattern, no nothing. But I end up with beautiful, useful, one-of-a-kind dishcloths, which inject a bit of homemade joy and creativity into my life every time I pick one up to mop up the kids’ spilled milk or dry the coffee cups. Happy happy happy. 🙂 So good to have you back on the podcast, Brenda! Where can we find your mods for Turkish Bed Socks? They sound like just the trick to make them fit better, and to eliminate that inelegant seam. Thank you. Thank you for the new episode in spite of your migraine. When it’s hot I prefer to crochet. One does not grasp with both hands into the wool. Accessories made ? ?of cotton or silk blends are ideal in summer. I’m so glad that you are back podcasting- somehow my app neglected to download your new episodes this year, and missing your voice, I wandered over here, and was delighted to listen to them. My ideal summer-no-brain-needed knitting is a simple, top down triangle shawl, with a pretty lacy border. Using lace weight, especially if it has some silk content, it doesn’t feel oppressively hot, and it requires approximately 0.5% brain power. I would love to have the pattern for your sweater that you knit from the top down. I can’t find it in your books. Is this something that you just teach in your classes. I couldn’t get your subscription to your blog to work. Am a long time listener and missed you when you were gone. Just discovered you are back at it. Catching up now.. When I do have time to think about it, I keep my queue on Ravelry up to date and organized. Anything that I have the yarn, needles and pattern for I tag with rtk, which stands for ready to knit. I often find myself not wanting to think but wanting to knit. When that happens, I search through my rtk projects. I am currently making electric blue snowflakes for my Christmas tree. They are a great project for when it’s too hot to touch anything else. socks! socks, socks…. can’t say enough about how i am really, finally LOVING knitting socks. i think that from now forward, i will only knit socks….well, until, of course, i knit something else…. i am going to download the turkisk bed socks that you spoke of! can’t wait to cast-on! I enjoy puzzles . I think your photo of Oct 8th is C.C.C.C. I found a photo on the net. I also think you are going to do the same as D. S.did a few years ago. I’ve written my comment here because I can write this without shouting it out …..although I have a feeling this won’t be read. This is so very hard to hear! That sound, that beginning music, was my start into listening to podcasts. Oh wow, so much further now in my podcast listening, but, missing this so much already! What a wonderful girl you are Brenda! On second comment, having listened thru all the way twice, yeah, you are never going to rest, are you? Here is a thing…. My grandmother was the physician at Smith College, where Amelia Earhart attended just a class or two. They met over sniffles or some way. Earhart wanted to study medicine, didn’t want to attend Smith. And Smith was no place for a future Doctor. Did my grandmother tell her so? Grammy was not one to keep her opinions to herself. But would never share the contents of a consult either. She said only that they had met. That Earhart had been a patient. Hmmm…. Okay, my story is not as poignant at all, but a connection. And I like any little one. Here’s hoping to see you in Wales one day! Wow Brenda , you nailed your last episode! Perfect. Thank you for your many years of podcasting- I’ve listened to every episode and you have affected my life in many wonderful ways. I wish you success and contentment in whatever new project your future holds.